Brynmawr Library and Institute – Alma Street Brynmawr. In March 1892 the need for a public library and park was first raised at a public meeting held at Pearson’s Auction Mart, on Market Square, Brynmawr. In September 1895 a meeting of the Librarian Association of Great Britain held in Cardiff read a letter in connection with the Brynmawr Council and their indifference on establishing a library. In August 1897 the proposed free library was debated, Mr James Bloor, chairman of the Brynmawr District Council announced he was to move for the adoption of the Free Library Act at the next meeting. 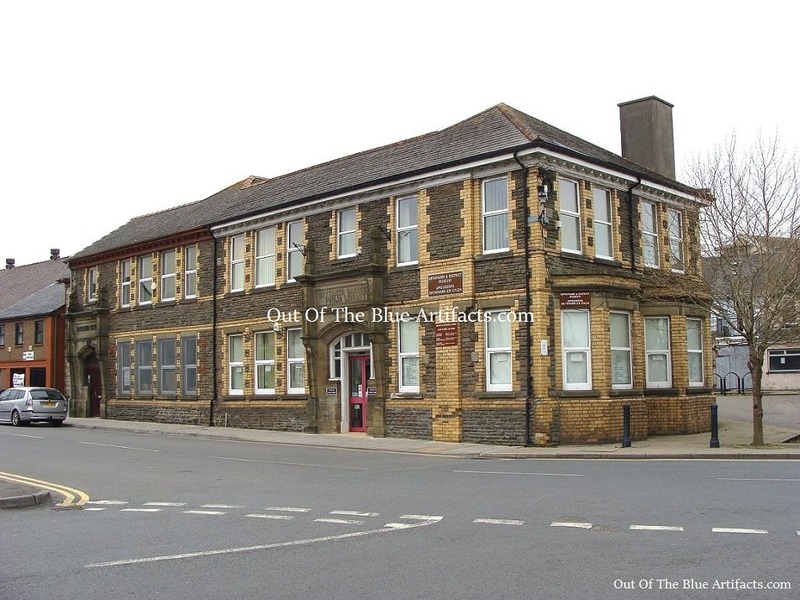 In September 1897 Mr Bloor, chairman of the Brynmawr District Council announced he was to apply to the Urban District Council to grant the use of the Town Hall, Brynmawr, at a nominal rent for the purpose of a public library and reading room. The Carnegie Free Library Committee. In September 1902 at a Brynmawr District Council meeting, after five years of inactivity in the Free Library Movement, frustrations arose. A letter was read from the Choral Society offering their services with concerts etc and other fund raising projects and bazaars were arranged. The council proposed to ask for funds from the Carnegie Fund for help in establishing a free library and set up a “Carnegie Free Library Committee” to oversee proceedings. It was resolved that the communications with Mr Andrew Carnegie would be handled by Mr Charles Morley. On Wednesday 20th May 1903 a council meeting was held, the following gentlemen were present – Mr E. Swailes J.P., (Chairman); Mr J. Bloor; Mr Ll. Thomas; Mr D. Owen; Mr H. Kelson; Mr R. Jones; Mr T. Jones; Mr B. S. Evans; Mr W. Roberts; Mr J. H. Lewis; Mr J. Thomas (Clerk); Dr Nyhan (Medical Officer); Mr D. W. Slocombe (Surveyor) and Mr W. Evans (Collector): At this meeting it was stated that the committee had not heard from the Carnegie Fund and said they would ask one last time to get funding from Mr Carnegie for the library. 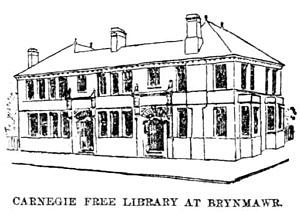 On Wednesday 1st July 1903 at a district council meeting, a letter was actually received from Mr Andrew Carnegie offering the council the sum of £1,250 to help build a free library at Brynmawr. The money offered by Mr Carnegie came with a condition that £300 be raised locally to add to the fund. The Libraries Act and the 1d. rate be adopted for the upkeep of the buildings and that the library was only to be used as a library for reading and learning purposes and no games or betting to be partaken. At this meeting it was stated that the sum of £100 had been raised since the fund raising projects were put into motion. On Tuesday 5th January 1904 the meeting of the Library Committee was held at the Council Chambers, Brynmawr and the subject of an institute was raised. The issue was postponed for a later date. In February 1904 at a meeting of the Brynmawr Council, Mr Llewellyn Thomas (as seen left) moved that a 1d. rate be levied on the Free Library. Mr J. R. Williams protested and said the people were being taxed on a library! He stressed that he wasn’t against such an institution being built but didn’t want to put the burden on the people and he moved that the rate be a half-penny rate. At the next months meeting it was voted in favour of the half-penny rate and was stated the general district rate was 1s. 11 and a half pence and the Free Library rate was a half-penny. On Friday 29th July 1904 the Free Library Committee held a meeting at the District Council Offices Brynmawr, Mr James Bloor presided. It was resolved to ask Mr F. R. Bates, architect, of Newport, to draw up plans for the erection of a free library to meet the terms with the offer of £1,250 by Mr Carnegie. Mr L. Thomas reported that there was £313 in the bank £300 of which was the required amount stipulated by the fund. In November 1904 the Carnegie Free Library Committee held a meeting at the Council Room, Market Chambers. Mr James Bloor, presiding, stated the plans and specifications of the library had been adjusted and tenders were advertised for builders to erect the free library to be located at Alma Street, Brynmawr. The Duke of Beaufort had given the land for the library and contributed £50 to the fund. Mr Charles Morley also gave a donation of £50. The planned concerts were postponed because of a measles epidemic and was put off until the following Easter. The land in question at Alma Street which was given free by the Duke of Beaufort had a series of tram lines running close to it, one of these rails were the property of Messrs T. Watkins & Sons, it was laid on the site of the proposed library and used for mineral transportation across the northern part of Brynmawr, down Alma Street to Clydach. Mr S. H. Cowper had communication with Messrs Watkins and he accepted the request to move the tram lines so the library could be constructed. On Tuesday 6th December 1904 the Carnegie Free Library Committee held a meeting in the Council Chambers. Mr J. Bloor presiding. The committee considered seven tenders for the erection of the library from plans and specifications by Mr F. R. Bates architect, of Newport who was also present. The tenders were as follows – Mr Bayley of Abertillery £1,486. 8s. 9d. ; Mr J. J. Partridge of Stow Hill, Newport £1,445. ; Mr Henry Smith of Kidderminster £1,447. ; Mr J. Morgan of Blaenavon £1,467. ; Mr A. T. Riddiford of Blaina £1,371. 6s. 10d. ; Mr S. Foster of Abergavenny £1,620. ; Mr John Jenkins of Brynmawr £1,370. : It was announced that the tender of Mr John Jenkins of Brynmawr was £120 over the £1,250 that Mr Carnegie had offered, though it was accepted and was hoped that Mr Jenkins would drop the amount down to come to the amount given by Mr Carnegie. Mr Jenkins the contractor agreed to drop his tender down to the required £1,224 on condition that the council grant him a month before he starts work and in that time for the council to see that Messrs Watkins move the tram lines and clear the site within that time period. On Monday 6th March 1905 the Carnegie Free Library Committee held a meeting in the Council Chambers. Mr J. Bloor presiding. It was decided to invest the surplus monies in hand, in an institute, should such be constructed in town. The committee stated they had £400 in hand. In September 1905 it was reported that the free library building was completed and the furnishings were being installed. Notices for the post of Librarian and Caretaker were issued. On Thursday 21st September 1905 at a meeting of the Carnegie Free Library Committee it was announced that 21 applications were received for the post of librarian and caretaker. The number which included several ladies was reduced to five, the post was given to Mr James Thomas of 78 Bailey Street, Brynmawr. On Friday 13th October 1905 the South Wales Gazette reported that the Carnegie Free Library Committee had decided to censure or black-out all gambling news in all the papers that were on their stands at the library. The Brynmawr Carnegie Public Library (as seen right) was built with local stone, the fronts finished with rock-faced pennant stone. The window dressings, chimneys etc were finished with the Ebbw Vale Company’s buff bricks. The entrance doorway was of Forest of Dean stone. The building consisted of an entrance hall with the borrowing library on the left of the entrance with the librarians room within. On the right hand side was the large reading room and at the back were the out-buildings. A wide staircase lead from the entrance hall to the first floor where there was a reference library, a store room for books and papers and a room devoted to magazines and other publications. The library was erected at a cost of £1,300, of which Mr Andrew Carnegie contributed £1,250 and the Duke of Beaufort gave the land. It was reported that the Duke of Beaufort had also contributed £200 towards an institute to be constructed adjoining the library and that there was only £400 remaining to be raised for that project. The contractor was Mr John Jenkins of Brynmawr. The architect was Mr F. R. Bates of Newport. Mr John Jenkins also built the Brynmawr Police Station. Mr F. R. Bates also designed the Powell’s Tillery Institute at Abertillery. Official Opening of the Carnegie Free Library. On Wednesday 18th October 1905 the Free Library at Brynmawr was officially opened. The opening ceremony took place between 2.30pm and 3.00pm. Members of the district council, other gentlemen and a number of ladies assembled outside the Brynmawr Market Hall where a procession was formed which marched to the Carnegie Free Library. The Market Hall, Library and surrounding houses were adorned with banners and flags and when the procession reached the library the architect handed a silver key to the chairman of the district council Mr Llewellyn Thomas J.P., with which he unlocked the door and led the way to the magazine room where the Carnegie Free Library was formally declared open. It was stated that in the library were books gifted by the subscribers, there was the “Teachers Library” consisting of 450 volumes and the “Old Town Library” consisting of 170 volumes. Mr Thomas presided over the ceremony and was supported by the following – Alderman W. Roberts J.P.; Mr Evans; Councillors Mr J. Watkins J.P.; Mr J. Morgan; Mr J. Thomas (Clerk of the District Council); Dr Thomas (Medical Officer of Health); Rev J. Williams; Rev D. Thomas and Rev Crwys Williams along with a large number of leading local ladies and gentlemen. After the ceremony a tea was held at the Wesleyan Schoolroom. On Friday 27th April 1906 members of the New Institute Committee met at the Carnegie Free Library where Alderman William Roberts J.P., produced several sketch plans of the proposed New Institute at Brynmawr. The cost range was between £950 to £1,400. Several alterations were suggested to improve the plans and to cut costs. The planned refreshment room and bar was taken from the plans to reduce costs and to increase accommodation. On Friday 29th June 1906 thirteen members of the New Institute Committee met at the Free Library where they announced that five tenders were received for the construction of the New Institute at Brynmawr and were as follows – Mr John Newcombe of Tredegar £1,186. 15s. 3d. ; Mr J. H. Leadbetter of Newport £1,235. ; Mr C. H. Reed £1,300. ; Mr H. Smith of Kidderminster £1,265 and Mr John Jenkins of Brynmawr £1,189. 13s. 0d. : It was close tendering but the committee chose Mr John Jenkins of Brynmawr as he was a local builder and he had constructed the Free Library. On Friday 6th July 1906 the New Institute Committee met and arranged to have a meeting with the architect Mr Bates and the contractor Mr Jenkins for the purpose of commencing the building of the new institute at once and the signing of contracts between all parties. According to the terms of the contract the building had to be completed by the 7th January 1907. The new Brynmawr Institute was built on the site of and adjoining the Carnegie Free Library (as seen in the featured image above). It was built with pennant stone to fit in and match the library to form a fine block of buildings. It seems from the original drawings that the one main doorway was moved and only a small section was added. Inside was a spacious entrance hall and vestibule with a large staircase leading to the billiard room, which was the main feature of the new institute. The were two billiard tables supplied by Messrs Orme & Sons at a cost of £115. – the equivalent of about £12,000 in today’s money. Around the room were pitch-pine seating for spectators. There were two other rooms, one was a parlour, the other being a boys billiard room and smoke room. On the ground floor were two large rooms, one was for playing chess and draughts etc while the other was used for a ladies room also to serve as a club or committee room. The new institute cost £1,250. As with the library, the contractor of the new institute was Mr John Jenkins of Brynmawr. The architect was Mr F. R. Bates of Newport. The lighting which was gas fittings was carried out by Mr A. E. Webb, registered plumber. The Opening Ceremony of the New Institute. After the ceremony a tea was held at the Brynmawr Market Hall. In the evening a billiard match was played between Mr Arthur Llewellyn of Cardiff, the Welsh Champion and Mr W. Hutchins of Bristol. The game was 600 up. Mr Llewellyn made breaks of 41, 43 and 85 and won by 14 points. Mr Hutchins made breaks of 43 and 33. Scores were – Mr Llewellyn 600, Mr Hutchins 586. The membership at the time of the opening was 100, the annual contributions for honorary members were 7s. 6d. and ordinary membership was 6s. 3d. The Brynmawr Institute was strictly non-political and non-sectarian. In October 1908 Mr S. H. Cowper-Coles, Agent to His Grace the Duke of Beaufort informed Mr Llewellyn Thomas that the governing body of “All Souls” Oxford had given him permission to send 2,000 volumes from the library of the late Alderman J. A. Doyle J.P., to the Carnegie Library at Brynmawr. In December 1913 the Carnegie Free Library Committee members were as follows – Alderman W. Roberts; Mr G. Morgan; Mr J. Bloor; Mr F. Bailey; Mr R. Jones; Mr T. Jones; Mr T. J. Jones; Mr D. Owen; Mr E. Williams; Mr T. L. Evans; Mr R. Evans; Mr T. M. Jenkins; Mr J. Stephens; Mr E. Swailes; Rev Crwys Williams; Mr E. Griffiths and Rev H. J. Evans: The committee met every month and in this month they showed the balance sheets which stated thy had £111. 11s. 4d. after meeting their liabilities they had left £8. 18s. 11d. in hand. The magazines and newspaper rooms were well patronised with figures showing that 150 people attended daily. 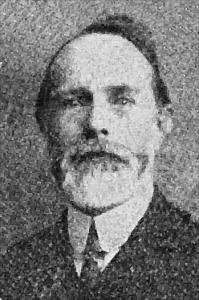 In 1915 Mr Daniel Gwylym was the librarian. 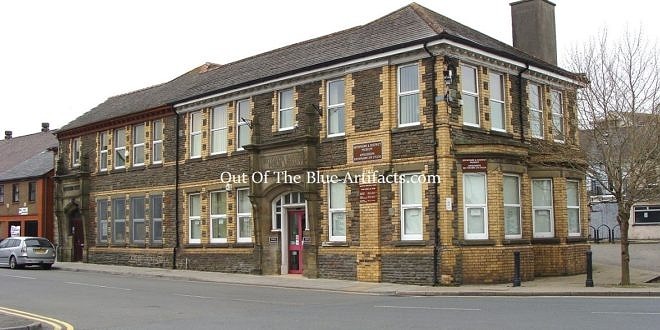 The building is still open and has snooker tables, it also houses the Brynmawr Museum. Notes of Interest – Mr Andrew Carnegie (1835-1919) was born in Dunfirmline Scotland in November 1835. In 1848 Andrew Carnegie’s family borrowed money and emigrated to the United States of America, he worked in a factory, took a job as a telegraph messenger and was later employed by the railroad company. He advanced his career, was given shares in the company and made investments in oil and steel, he later moved to Pittsburgh and set up the Carnegie Steel Company. In 1901 Mr Andrew Carnegie sold his company to Messrs J. P. Morgan for $480,000,000 (four hundred and eighty million dollars) at this point Mr Andrew Carnegie was the richest person in America. After the sale he devoted his time to philanthropy, he set up funds and gave away vast swathes of his fortune to help people and organisations who were less well off. In the early 1890 Mr Carnegie offered funding for Free Libraries around the world. The offers came with just a few terms and conditions, mainly the recipient of the fund was from a deprived area, the council would have to raise a small percentage by itself, a 1d. rate be adopted for the upkeep of the buildings and the libraries would be used for reading and learning purposes only, no gaming or gambling etc. The first of the Free Libraries erected by the Carnegie Fund seems to have been the Peterhead Library in 1891, Mr Carnegie laid the foundation stone and gave £1,000. Aberdeen followed in 1892, then Tain and Dornoch. In December 1899 Mr Carnegie gave his home town of Dunfermline £20,000 to erect a gymnasium and baths. Many more towns benefited from his benevolence and between the years of 1899 and 1910 in chronological order he funded Free Libraries in Ruthergien, Dalton-in Furness, Eastbourne, Sterchley, Hammersmith, Scunthorpe, Branksome, Mosley & Kingsheath, Eastham, Toxteth, he funded 3 Free Libraries in Belfast and Deptford, Kings Lynn and many others in places like Bideford, Dover, Brecon, Salisbury, Kettering, Keighley, Islington, Wakefield, Middlesbourgh, Bolton and Coventry in December 1910. The money given for each library varied as to each costs, the monetary gifts were between £1,000 and £18,000. In October 1903, £8,000 was offered for 5 Free Libraries to be built in Swansea, it was later reported that owing to much disagreements the Swansea Council arranged a poll of the ratepayers on the proposal of the additional half-penny rate levied and the results were as follows – Against 10,605; For 3,119: The results astonished even the most bitter opponents to the scheme and the generous offer by Mr Carnegie had to be refused. A footnote to this outcome was the council had for months been bitterly arguing over suitable sites for the libraries which had seemed a complete waste of time. It was reported that in the year 1906, Mr Carnegie had given out $3,063,925 in funding and in 1907 had given out $1,631,630. They say it was estimated that he had given a total of $49,000,000 million dollars and had funded Free Libraries as far away as the Fiji Islands and the Seychelles. In June 1905 Closeley, Staffordshire was offered £3,500 but refused the terms and conditions as it was deemed too costly for the tax payers to burden. In August 1902 the Mayor of Peterborough applied for funding for a Free Library but was refused on grounds that the area was too affluent to receive aid. In addition to the Free Library Fund the Carnegie Foundation also set up a fund for Bravery. It was called the Carnegie Hero Fund. The recipient would be awarded a medal 3″ inches in diameter and a monetary gift, a one-off or an annuity to a dependent spouse. In January 1935 Mrs J. Cordey the widow of the late Mr John George Cordey a recipient of the Carnegie Hero Fund, of Llanarth Street, Newbridge was given financial aid after the death of her husband. Apart from the Free Library Fund and the Hero Fund, Mr Carnegie was most generous in other projects where he thought his money would help. In February 1907 he gave a contribution for the organ at St Pauls Church, Cwmtillery and also helped with the cost of an organ at the Wesleyan Church, Abertillery. Mr Andrew Carnegie sadly passed away in August 1919.